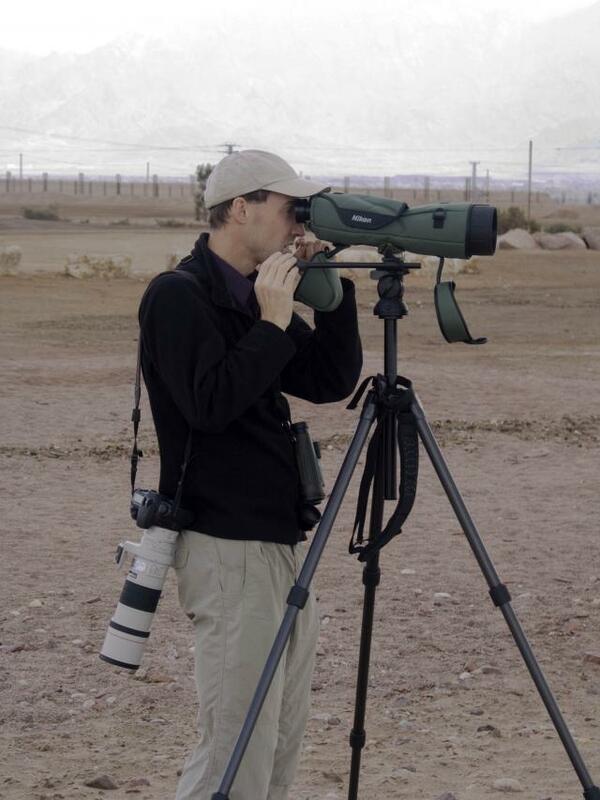 Biography : I started birding at 8 years of age, guided by my older brothers. During my teenage years I frequently traveled to Europe and North Africa with David Holyoak, my brother, and learned a lot about birds and natural history from him as I assisted him as a field assistant. I studied Biology for a bachelors degree at Imperial College in London and continued to a PhD in ecology in the same college. While an undergraduate I joined a college expedition to study birds on Mt Oku in Cameroon, and then spent a summer in Kenya on graduation. In 1994 I moved to Kentucky and then a year later to California where I have resided since. As well as exploring the birds of the U.S., I've ventured to a good number of countries in Central and South America, and occasional trips to Asia and Australia. I lived in Jerusalem for 6 months in 2007, and spent a good amount of time exploring Israel and Palestine. Photography has always been an interest, and gradually my equipment has improved as well as my experience. I freely donate my photographs for educational and conservation purposes. Professionally I study the effects of habitat fragmentation on animal populations and ecological communities. I run an active research lab with usually somewhere around 5-8 PhD students that I am advising studying birds, fish, plants, insects and microorganisms. I am the Editor-in-Chief of a major research journal in ecology, Ecology Letters, which has an editorial board of over 90 editors.